A-1 AGENCY HAS BEEN SERVING THE REAL ESTATE NEEDS OF BUYERS AND SELLERS IN NORTHEASTERN WYOMING AND BEYOND FOR OVER 100 YEARS. FOUNDED ON A COMMITMENT TO HONESTY AND EXCELLENCE, OUR BROKERS GREW UP IN THE AREA AND OFFER A BROAD RANGE OF PERSPECTIVE, SKILL AND TALENT. 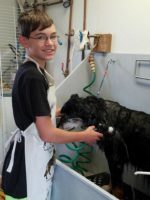 We are a local pet boarding service that will take care of your pet when you are gone just like you do!!!! Anadarko Petroleum Corporation is one of the largest independent oil and natural gas exploration and production companies. Protect your customer's privacy, your client's information and your confidential business information against identity theft and information-based fraud. 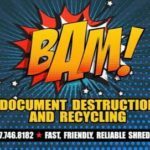 Bam Document Destruction & Recycling will permanently destroy your confidential and sensitive information onsite for your piece of mind. Short Business Description: The BBB strives to be the leader in marketplace trust by setting standards for marketplace trust, supporting best business practices, celebrating marketplace role models, addressing substandard business behavior, and creating community trustworthy businesses. For over 75 years, BH&B has worked to increase visitor numbers, trip durations and sales through large, member-approved marketing and public relations campaigns. Our programs utilize methods that have proven effective, while staying ahead of current marketing trends like mobile, digital and social media. In addition, BH&B’s products and events serve two functions: to provide utmost advertising value to members and to generate revenue that is then redistributed to increase business for the entire region. Drs. Seth and Kristine Rhoades, and Amber Ide provide full service general dentistry, now offering Invisalign. We have offices in Newcastle and Moorcroft. Black Hills Energy, the business name under which we operate our natural gas and electric utilities, serves 1.2 million customers in eight states: Arkansas, Colorado, Iowa, Kansas, Montana, Nebraska, South Dakota and Wyoming. Our utilities are subsidiaries of Black Hills Corp. (NYSE: BKH). Blakeman Propane is dedicated to creating and keeping loyal customers through continuous improvement of all products, services, and processes. Bradeen Auctions was founded by Bert Bradeen in 1923, passed down to his son, Bob Bradeen and is today owned and operated by Bob's son, Ron Bradeen. With nearly a century of service credited to the firm, Bradeen Auctions continues to serve their customers and conduct auctions locally and nationwide. Commitment to details has been the key to BradeenAuctions success. Award-winning brochures and advertisements, professional signage, timely advertising that targets key audiences and friendly, and knowledgeable staff all play a role in making your auction the best it can be. We take the time to get to know our clients and pride ourselves on learning the details about their heirloom antiques or the ranch the family has owned for three generations. Knowing our customers and their story allows us to better market their property and realize the full potential of their auction. Northeast Wyoming's beer, wine, and liquor store. Chick Financial offers a wide variety of products to enrich your financial or retirement goals. David Chick a representing agent for New York Life strives to provide individuals, families, and businesses with products and services that meet their custom needs. Currently Chick Financial offers Individual Life Insurance, Fixed Annuities, Long-Term Care Insurance, Disability Income Insurance, Mutual Funds, Variable Universal Life, and 529 plans. Whether you’re planning your personal life or planning for your business Chick Financial has you covered. Newcastle now boasts over 3200 in population. This size allows the city to have many of the amenities of a larger city and yet maintain the friendly, small-town atmosphere. All measurements are FREE! Have Randy out to do an estimate! 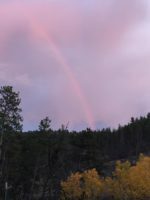 In South Dakota's Black Hills, a mountain foreman named Cas Ziolkowski can finally see his family's dream taking shape. It's the most mammoth mountain sculpture in the world in both size and scale. Croell, Inc. has been a producer of quality concrete since 1968. We strive to be the best at what we do and never forget that our valued customers come first. In addition to Redi-Mix, our product line includes paving, asphalt, seal coating, gravel, sand and stone. Your local Culligan Man is the expert on water conditions in Hot Springs and can recommend the best water treatment solutions for your home. Have a question or want to schedule an appointment? Contact us today. Deadwood Gulch Gaming Resort HAS IT ALL! The Gulch features a 24-Hour Casino, Award-Winning Hotel, Creekside Restaurant and Convention Center. With on-site parking in a beautiful Black Hills setting and access to the Mickelson Trail for year-round outdoor activities we are your one-stop-shop when planning a vacation. Dirt Daubers Garden Club maintains many of the beautiful coal carts around town. Chiropractor facility, Travis Elliott, D.C.
Short Business Description: My office may be in Newcastle WY, but I am here and ready to assist everyone in Newcastle, Upton, Osage, Moorcroft, and surrounding areas with their insurance needs. I was born in Wyoming and have been a member of this community for 47 years, so I understand the many different lifestyles in this part of Wyoming. As your local Farmers® agent I am Looking forward to helping you understand the way insurance works, whether it is auto, home, renters, business, or life insurance. Give me a call at (307) 746-2700 and I'll be happy to answer any questions you might have. 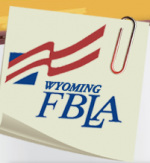 Wyoming FBLA represents approximately 800 members located throughout the state of Wyoming in over 30 local high school chapters. The members are preparing for careers in business and business-related fields. First State Bank of Newcastle is located at 24 North Sumner in downtown Newcastle, Wyoming. 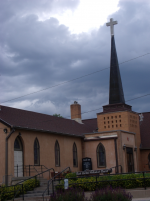 We are across from the Weston County Library and near the Post Office. Stop by the bank and check out our convenient drive-up window or use our 24-hour ATM. First State Insurance is an independent insurance agency serving the Northeastern corner of Wyoming for over 40 years. We are happy to provide you with a no obligation quote. Our main activity has been to locate, process, and deliver sand, gravel, and aggregate products and provide crushing services to contractors for roads, dams, and large public work projects. We specialize in portability. Our portable rock crushing and asphalt & concrete recycling plants make our operations more agile, efficient, and profitable. We also provide crushing and processing services to coal and hard rock mines. Garden Club meets 2nd Wed each month. The Lodge is unique and able to handle many different kinds of events such as banquets, company retreats, reunions and weddings due to the amenities and accommodations available at The Flying V. The Flying V Lodge is open seasonally – generally from the beginning of June through the month of November, and closed at all other times. (Calls and inquiries are welcome anytime of the year!). 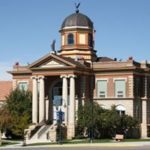 Advocating for victims of domestic violence, sexual assault, and stalking in Weston County. FOCUS provides emergency assistance and guidance to help victims become survivors. Four Corners is located in northeastern Wyoming near the Bear Lodge Mountains, part of the Black Hills, at the intersection of U.S. Route 85 and Wyoming Highway 585. The Country Inn has 11 room, 6 full hooks ups, gifts & souvenirs. 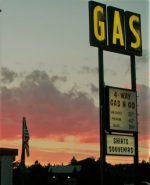 Gas, diesel, groceries, jewelry, gifts, T-shirts, Sturgis Rally, MW Lake permits souvenirs, bait all available under 1 locally-owned roof! Frontier Home, Ranch and Hardware has everything the name implies. The store carries fencing and ranch supplies, Nutrena animal feeds, SmartLic Tubs, Science Diet and other quality pet foods. We are a well stocked hardware store. We sell chicks and other poultry. We have a well stocked "Tack Room". Our lawn and garden section is extensive. The greenhouse is open May and June. We have Husqvarna chainsaws and trimmers. We have a large selection of rental items, from a skid steer to carpet cleaner. If you can't find what you need the friendly staff will help you find it. 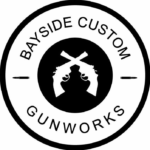 Open Monday through Friday 7:30 to 6 and Saturdays 8 to 5. Come into an H&R Block tax office in Newcastle, WY to meet with a tax professional who can handle all your tax preparation needs. Our tax experts in Newcastle, WY can't wait to help you prepare and file your taxes. They'll find every last tax deduction available so you get the most from your tax return. The Black Hills, in western South Dakota and northeastern Wyoming, consists of 1.2 million acres of forested hills and mountains, approximately 110 miles long and 70 miles wide. 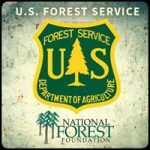 The Forest has four Ranger Districts and a Forest Supervisor’s Office. Offices are located in Sundance and Newcastle, Wyoming and Custer, Rapid City and Spearfish, South Dakota. 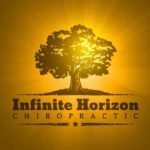 Infinite Horizon Chiropractic is now open! This office is different than most. I believe treating the muscle is equally important as adjusting the spine. If only one part is treated, the other is still left compensating for what wasn't treated. Based upon what is needed, I use several modalities along with the adjustment such as heat, ice, muscle taping (Kinesio), Graston, active release and electric muscle stimulation. If you're interested, please call, I would love to meet you! Immerse yourself within the third longest cave in the world. With over 190 miles of mapped and surveyed passages, this underground wilderness appeals to human curiosity. Its splendor is revealed through fragile formations and glimpses of brilliant color. Its maze of passages lure explorers, and its scientific wealth remains a mystery. 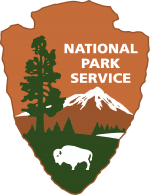 This resource is truly a jewel in the National Park Service. A beautiful country setting in the Black Hills is where this fully finished two bedroom, one bath house is located. Come share your stay with wildlife and birds. Quiet and secluded. 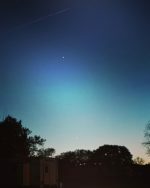 Enjoy breathtaking sunrises and sunsets or star gaze in the evening. The retreat offers a little slice of heaven with a western flare. You are located close to the Black Hills National Forest with all of it's recreational opportunities, and many national monuments and landmarks. Founded in 1974, M & K Oil Company Inc is a small organization in the crude petroleum and natural gas companies industry located in Gillette and Newcastle, WY. 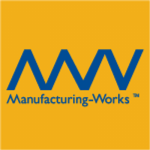 Manufacturing-Works provides broad technical assistance, engineering solutions, general business assistance, marketing assistance, and financial counseling. Manufacturing-Works is committed to helping businesses by delivering solutions for creating wealth. Manufacturing-Works, in conjunction with others, can deliver complete solutions for companies. Mondell Heights is a small retirement community nestled against the Black Hills and overlooking the town of Newcastle. Services include full meal service, houskeeping and laundry services, assistance with medication, an exercise program, participation in social and recreational activities at Mondell Heights and in the community. Additional services may be purchased including assistance with bathing and other personal needs, beauty and barber services, and transportation. found us online so we can properly say hello and introduce ourselves. Newcastle Lions Club collect used eyeglasses to be cleaned, sorted and distributed to people in need in low and middle income communities where they will have the greatest impact. Short Business Description: The Newcastle Lodge & Convention Center features 59 beautiful rooms, pool, fitness center, convention space & "Grazers" restaurant! Enjoy delicious fresh, never-frozen burgers & homemade French fries. You’ll love grazing Grazers!! 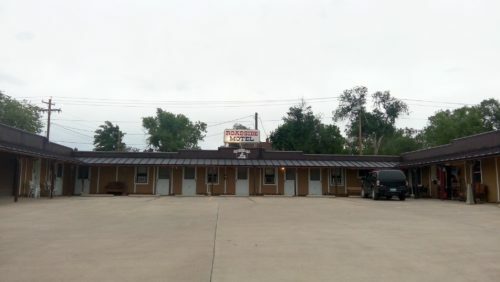 Conveniently located on Highway 85 with plenty of parking space. Group & family-friendly! Whether you're searching for a new or used vehicle, researching financing options, or looking for a quick quote on a car, truck, or SUV, our friendly, professional staff is ready to provide you with all the help you need. Our service and parts departments are standing by to assist you with every aspect of vehicle maintenance. Just call or email us if you have any questions regarding our site information. We're here to make your shopping experience hassle-free. Newcastle Regional Medical Clinic and Upton Regional Medical Clinic are your primary care providers for quality health care. As part of the community for more than 30 years, they provide the care you and your family expect and deserve. Our board certified physicians and highly-trained clinical staff work together to ensure that you and your family receive the medical care you need. The Newcastle location is open Monday through Friday from 8 a.m. to 5 p.m. 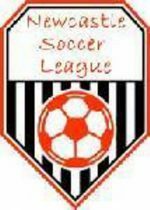 The Upton location is open Monday, Wednesday and Friday from 10 a.m. to 5 p.m.
Newcastle Soccer League offers fall and spring soccer for one registration fee.. U6-U8 Players pay a $45 registration fee and U10-U14 players pay $55 for registration...all players must pay $40 for fundraising candy that they can then resell to recoup their money. Indoor soccer is a completely separate season with different rules and fees governing it. Contact a board member for questions or concerns. Evaluations for eye health disorders are also performed. The American Optometric Association recommends that all people should have a periodic, comprehensive eye examination every one to two years depending on ones particular needs. 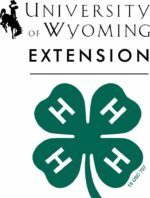 The Wyoming Department of Workforce Services is a state Agency focused on delivering comprehensive and effective services that build a workforce to meet the changing demands of Wyoming's diverse businesses, citizens and economy - hence, the Agency's mission - bridging human and economic development for Wyoming's future. The Wyoming Department of Workforce Services is comprised of three offices (listed below), all of which have distinct objectives that parallel the Agency's overall mission. 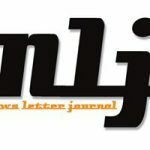 The NLJ strives to cover all the news, sports and entertainment important to the people of Weston County, Wyoming. We serve all areas of healthcare but focus on orthopedics and chronic pain management. We treat a variety of diagnoses including neck/back pain, tendonitis, TMJ dysfunction, post-surgical pain, vertigo, and women’s health/prenatal complications. We know that life happens and always accept walk-ins in our clinic. Our hours are M-F 8:00-5:00 pm. Thank you for choosing us! Northern Wyoming Mental Health serves youths and adults suffering from mild to serious mental illness and substance use disorders. Each person receives treatment carefully tailored to his or her individual needs. Services are available to anyone on a sliding fee scale basis. 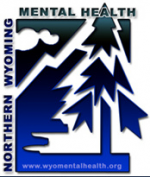 Northern Wyoming Mental Health Center is a community-minded health care provider. The goal of NWMHC’s staff is to offer every client competent, professional, confidential, and affordable mental health services. We provide diagnostic treatment and prevention programs that help people in the comfortable and familiar surroundings of their own community. 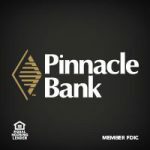 Much more than just a place to keep your money, we’re proud to be a part of your community. That’s why we’re committed to bringing you banking The Way Banking Should Be. The power of many for the benefit of all: that’s the philosophy behind Powder River Energy Corporation. We’re proud to be northeastern Wyoming’s preferred energy source, serving more than 12,000 members throughout the region with reliable, efficient, and affordable electric service. As a non-profit Touchstone Energy® Cooperative, we’re a “by-the-people, for-the-people” organization dedicated to being not just a provider, but a true partner. We’re deeply connected to the community. And to you. Short Business Description: Ramsey Real Estate is a qualified Real Estate office capable of covering all of your real estate needs. If you are buying, we can help you find the home of your dreams in Northeastern Wyoming and South Dakota. 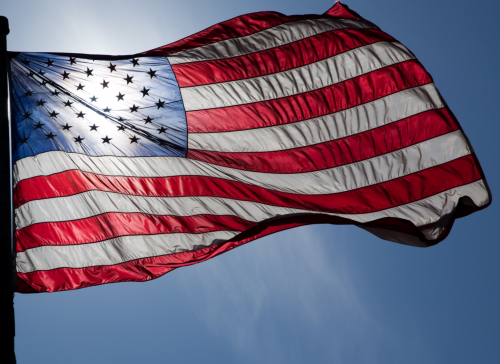 Red Giant Oil has been recycling oil for over 40 years and we meet all state and federal regulations for doing so. We have onsite laboratories at many of our facilities that allow us to analyze oil before we recycle it to ensure that there are no hazardous properties in the product which minimizes the generator’s liability. "Don't trust your window treatments to a blind guy!" Deep in the heart of one of the most breathtaking, beautiful canyons in the world, nestled alongside lofty pines and spectacular cliffs, you will find Spearfish Canyon Lodge. Built and decorated in the style of the old lodges of the West, you can let nature take over and open your mind to focus on either business or pleasure. The outside world is as near or far as you need it to be. The SUBWAY® system is committed to providing a wide range of great tasting, healthier food choices while reducing our environmental footprint and creating a positive influence in the communities we serve around the world. Convenience , Hospitality and Service with a smile At this local family owned and operated Inn. Short Business Description: We have added a new agent in Newcastle Wyoming to help serve the needs of our clients better! Sandra Martin will be your local resource! Not only will Sandra service Newcastle Wyoming but will also, Sundance, WY, and Upton, WY! Sandra has the knowledge and expertise to help sell your home with our cutting edge in depth marketing plan! She will strive to provide the best customer service and communication to our clients! Our marketing plan will get your house in front of the most buyers and with our creativity and hard work we will sell your house! Buyers can expect the same trusted service Team Properties Group LLC has been providing for years! Address 1313 S. Summit Ave.
Upton was nicknamed “The Best Town on Earth” back in the early 1900’s by Frank Burdick, the local railroad station manager. A little sign was installed along the railway where passenger trains travelled every day. Since that time, all the signs at the entrance to Upton have carried the same slogan. We live here by choice and we work together to help Upton grow and improve each year. 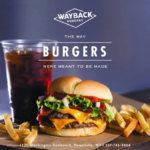 Short Business Description: Wayback Burgers is about serving delicious and fresh, hand-made burgers and hand-dipped milkshakes. Wedding Closet has wedding gowns, bridesmaids, flower girls, Prom gowns. We rent tuxedos. Jewelry, football and baseball jerseys. Cinch jeans and Shirt as well FR jeans and shirts. Cowgirls Tuff and other Western Wear. Tony Lama work boots and belts too. A lot of other gifts items. Weston County has it all - from tree covered hills to wide open prairies and rolling plains. Sitting snug up against the Black Hills, with the Thunder Basin Grassland spreading to the southwest, Weston County is a special place to live, work, and enjoy the outdoors. We value our heritage and way of life but always look to the promise of the future like our pioneer fore bearers. 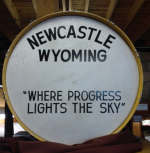 Promoting Newcastle and Weston County through the arts. WCCC provides early intervention and special education services for birth to school age children who have developmental disabilities and delays. the University of Wyoming Extension in Weston County. Our office brings you reliable, research-based information in agriculture and natural resources, consumer and family economics, community and economic development, and 4-H / youth development. Our goal is simple... to help you put knowledge to work! Weston County Cowbell is a group of dedicated individuals who believe that the livestock industry is of basic importance to world existence. The ladies meet every 3rd Tuesday, except during Fair and other exceptions. 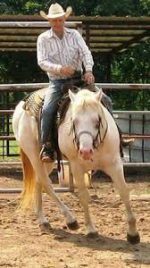 Short Business Description: Between their Four Season Indoor Arena, the Events Center, outdoor arena, camper spots, livestock barns, picnic area and park, and sprint car track, they have something for everyone. With room for up to 350 guests, their multi-purpose Events Center and flexibility to meet all your needs, the fairgrounds is the perfect location for all your events, meetings, and more. Their full-service commercial kitchen is ideal for you or your caterer to prepare and serve the meals. For the smaller events, they have the Open Class Building which has the capacity for 100 guests. Fair Park and the Ertman Memorial Picnic shelter, with bathroom access in the Open Class Building, is also available for rent. The FSA, with its 100x50 indoor arena and 60 indoor stalls, is available for rent by the hour or the day and they offer arena usage as complimentary service when you don't turn on the lights. Weston County Fairgrounds office is open Monday-Friday 8am-5pm. Check out our Facebook page and website westoncountyfair.com for more information about rentals, upcoming events and how you can become involved in the Weston County Fair. Weston County Health Services is a general medical health care facility and retail pharmacy located in Newcastle, WY. Our location includes a 12-bed hospital and a 54-bed nursing home. Weston County Health Services offers the convenience of locally-provided health care 24-hours a day, and a comprehensive list of medical services; including inpatient, outpatient and home health; coupled with the most extensive professional staff and medical equipment in the area. To the world you are a rescue person, to a rescued dog you are the world. WCNRD provides leadership in conserving the natural resources in the Weston County Natural Resource District by providing information, education and technical assistance to meet the needs of the users. Weston County Peace Officers Assoc. 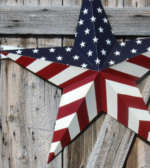 Membership is made up of all Weston County Law Enforcement, including Wyoming Honor Conservation Camp, Wyoming Game & Fish, Weston County Sheriff's Dept, Newcastle City Police Dept. and Upton City Police Dept. Senior meals, dine in or delivery, transportation, health services, senior apartments, event center and the best cinnamon rolls on earth. 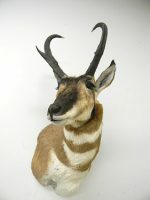 Weston County Sportsman's Club, a non-profit shooting organization in Weston County located in Northeastern Wyoming. This facility is located in the county seat of Newcastle Wyoming at the intersetion of highways 85 and 16. Newcastle is on the western edge of the Black Hills not far from Gillette WY or the well known landmarks of Mount Rushmore (South Dakota) and Devils Tower. We specialize in title searches and closings. We have established many relationships with realtors and banks. We are the only locally owned title company in Weston County. If you are looking to refinance or purchase a new home, give us a call. Weston County Travel Commission promotes Newcastle, Upton and Weston County by maintaining content on Travelwyoming.com, Blackhillsbadlands.com and various billboards and publications. It also provides financial support to Newcastle Area Chamber of Commerce and Upton Chamber of Commerce. Co-op advertising is offered to businesses in the county that cater to tourism. Money is granted to events that pull people to our towns and to projects that enhance our communities. The Wind River Hotel and Casino is the largest gaming facility in Wyoming with over 800 slot machines and 10 table games. When you choose Wyoming Community Gas as your natural gas supplier, you not only enjoy affordable, reliable natural gas for your home or business, you also help improve the quality of life in your community and others across Wyoming. The WHCC includes a warehouse, as well as programming, vocational, recreational, and educational space, to allow us to meet the goal of reducing recidivism through cognitive and behavioral intervention. Website Design By: Sagebrush Marketing, LLC and Wyoming Network Inc.